1. 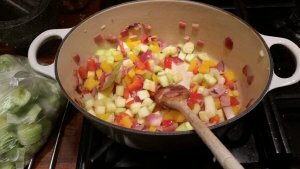 Begin by chopping all of the vegetables into small bite size pieces. 3. 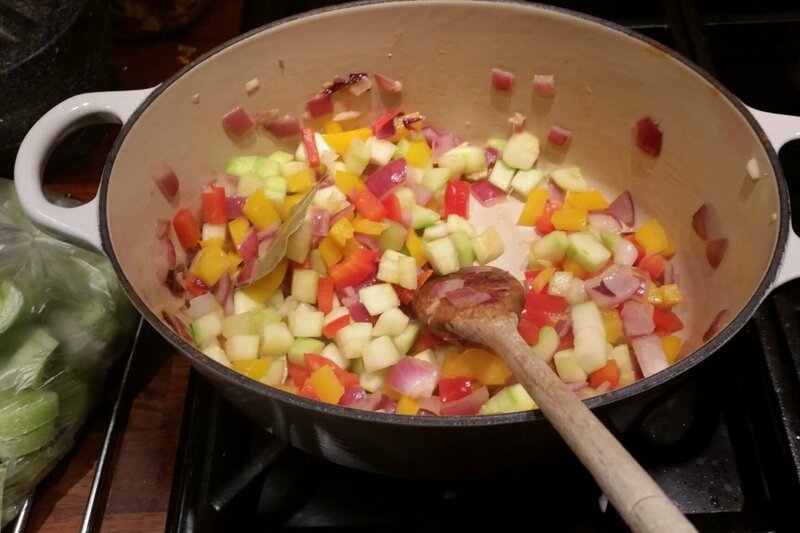 Add the vegetables with the thyme and bay leaf and leave to cook until the vegetables begin to soften. 4. Add the tomatoes and continue to cook until the vegetables are completely tender. 5. Finally, remove the thyme and bay leaf before blitzing into a puree. If too thick, add water. As you can see I froze our ratatouille for Isla for when we began weaning. 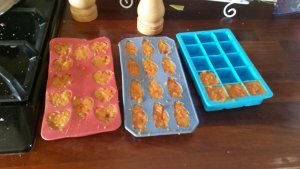 I put it all into ice cube trays, as when babies are young, the amount in an ice cube tray is the perfect amount to get them started on.